Classes are small with just 5-6 children in each group. There is extra help in the water too in our beginner groups. All our swim teachers are Amateur Swimming Association (ASA) qualified, members of the Institute of Swimming (IOS) and hold enhanced Criminal Record Bureau disclosures. 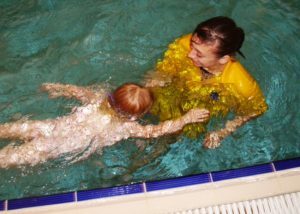 At iSwim we are passionate about swimming and water safety. 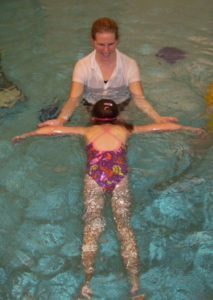 We aim to teach your child to swim with good technique and with ease. 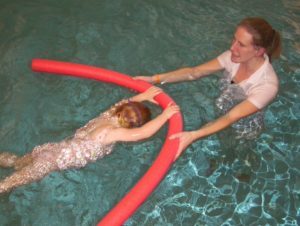 We progressively build on early water skills such as aquatic breathing, buoyancy, flotation and rotation. We develop a healthy respect for water so your children will understand the dangers and know how to stay safe around water. Strokes are continuously developed alongside these vital skills. Badges are included free of charge in our lesson fees and are awarded at the end of each term. We follow the latest Swim England National Plan for Swimming badges, but do not teach just to the badge – learning to swim is far more than that. Strokes and skills are continuously assessed over the term. For details of our term dates please click here.